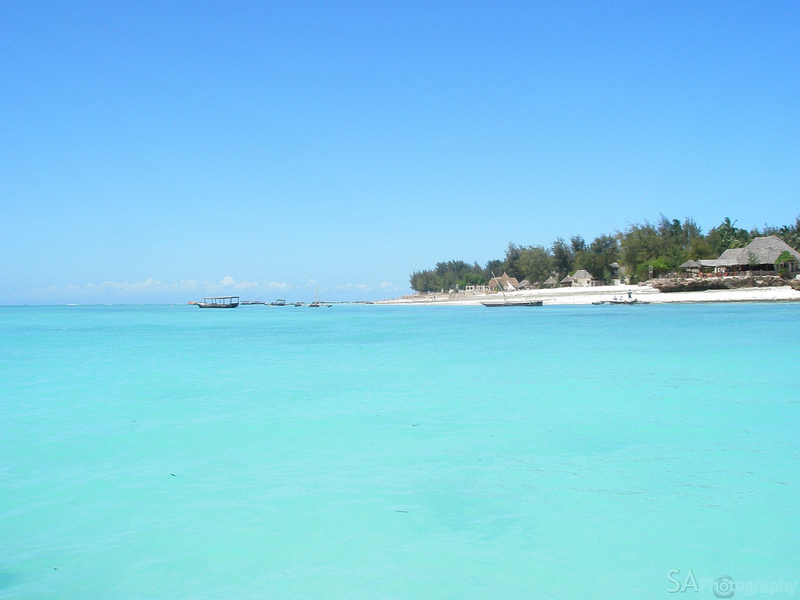 The Mnemba Atoll is an atoll, located off the northeast coast of Unguja, the largest island of Zanzibar. It consists of an oval reef seven by four kilometres in extent, containing the tiny Mnemba Island at about 1.5km in circumference. 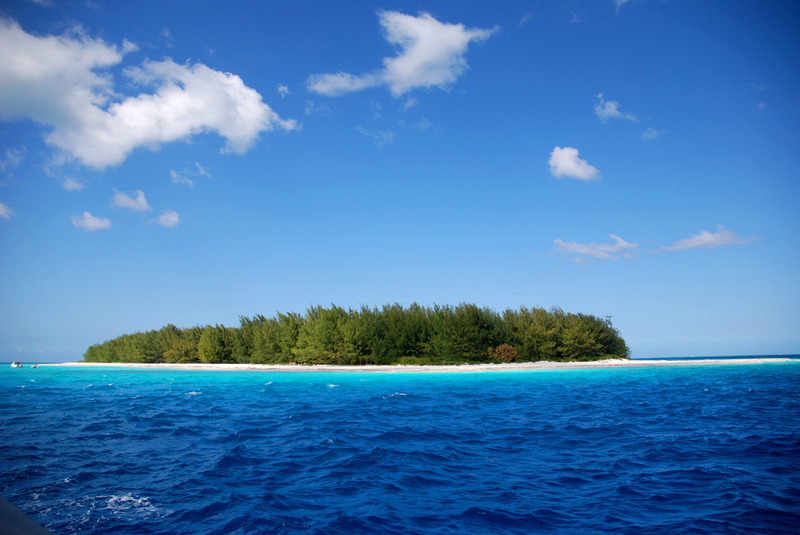 The surrounding reefs have been declared a Marine Conservation area. The island is ringed by a continuous white-sand beach, set in sparkling turquoise waters, and in the centre a thick wood of whistling palms is home to the friendly, yet shy Suni. 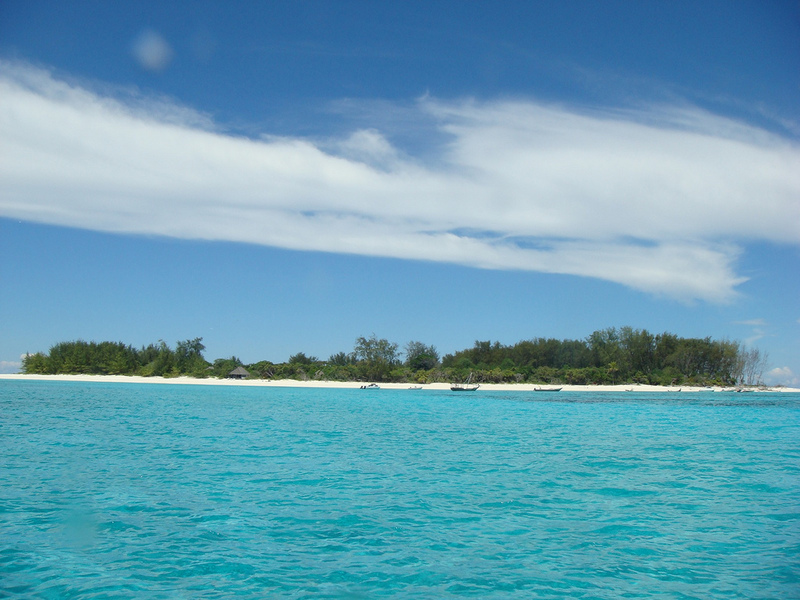 With powder-soft sand and a cool woodland centre, Mnemba Island is a natural sanctuary for wildlife, and an ideal exotic holiday and honeymoon destination. The island centre is a cool pine forest, and the eastern coastal aspect feels quite wild and unkempt despite its diminutive size. 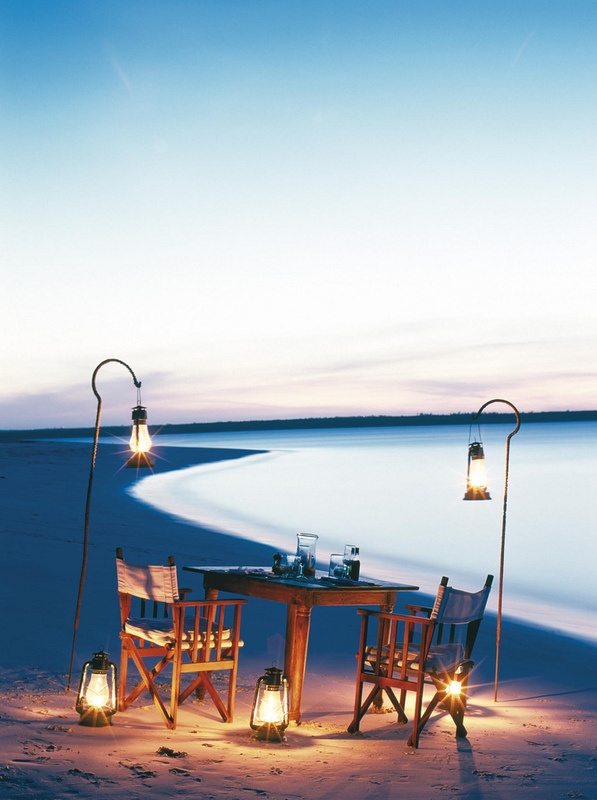 This is barefoot luxury at its very best, with the enphasis being as much on what is not here. Elegant simplicity is the key. But what makes Mnemba so incredibly relaxing is that after a very short time you realize that staff here know how to lok after you better than you know yourself. 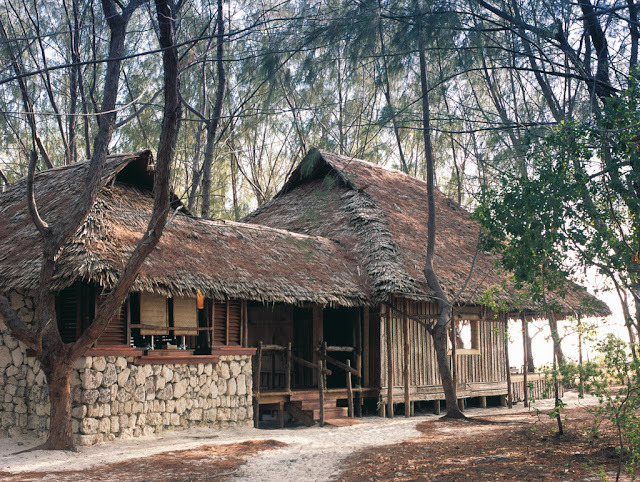 At the islands centre is a cool pine forest and one of the world's finest beach hotels. 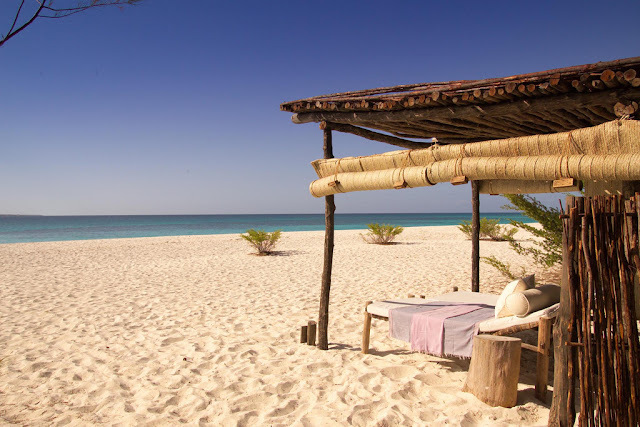 Designed to provide the perfect balance of wild beauty and comfort, Mnemba has won numerous awards from the worlds most romantic beach destination to best hotel on the planet. 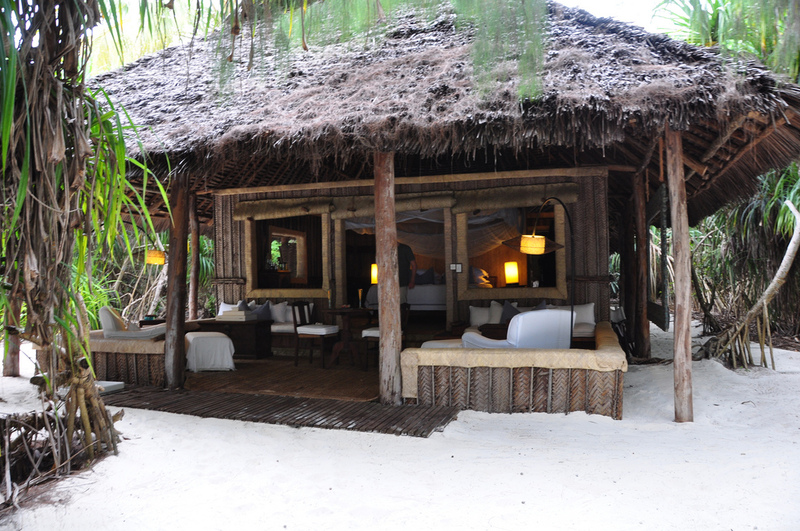 The resort has only 10 beachside bandas, all with en suite bathrooms, overhead fans, and spacious outdoor verandas. The resort has guest areas with beautiful sea views and an island craft shop.Hand-woven from traditional Zanzibarian palm-matting, each secluded banda has a spacious veranda and is hidden in the shade of a tropical beach forest, fringed by the pristine beaches that halo the Island. 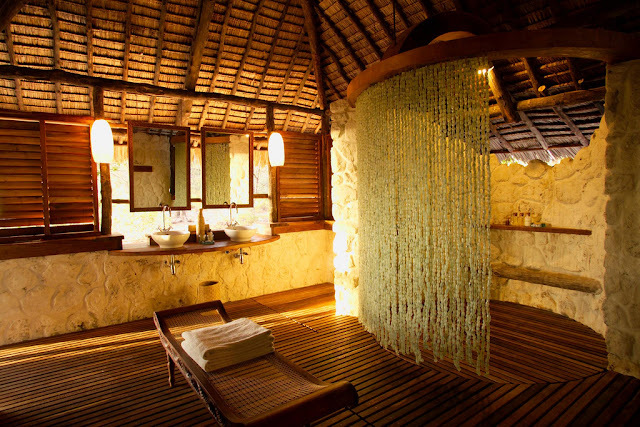 A palm-covered walkway leads to an en suite bathroom with shower and basin. Zanzibar is famous for its beautiful detailed about the scrolled headboards adorning the beds who are created by some of the islands skilled artisans. 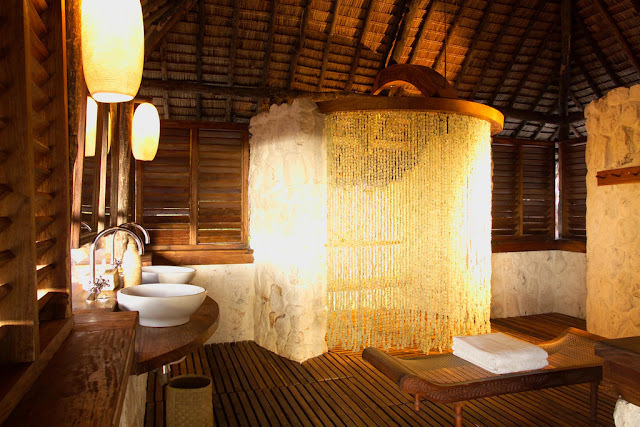 If you have ever harboured a secret wish of finding yourself as the sole inhabitant of a beautiful tropical island, but without the effort of having to lift a finger to fend for yourself, Mnemba Island Lodge is just the place for you. You may fill the sun-drenched hours with a variety of water activities such as snorkelling, scuba diving, kayaking, windsurfing and swimming, or simply sunning on the beach. 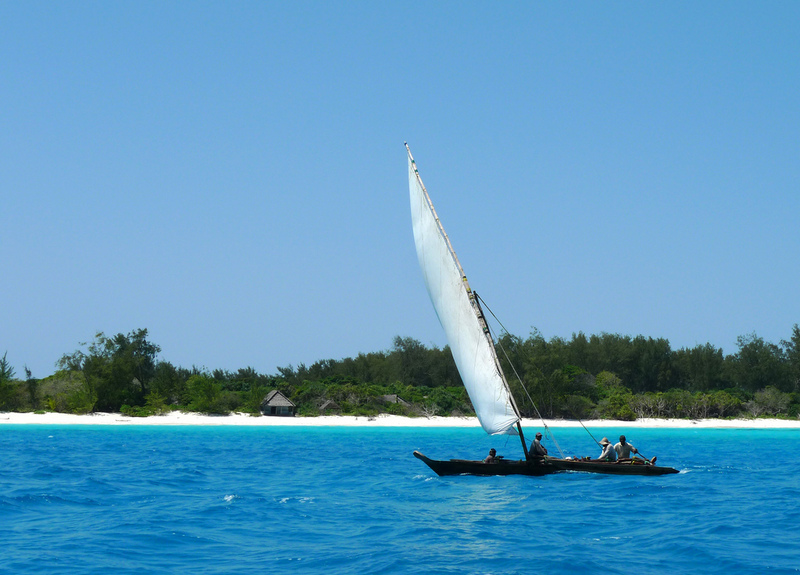 The calm warm seas around Mnemba offer irresistible water activities such as snorkelling, scuba diving, kayaking, fly fishing and swimming directly from the beach at no additional cost. 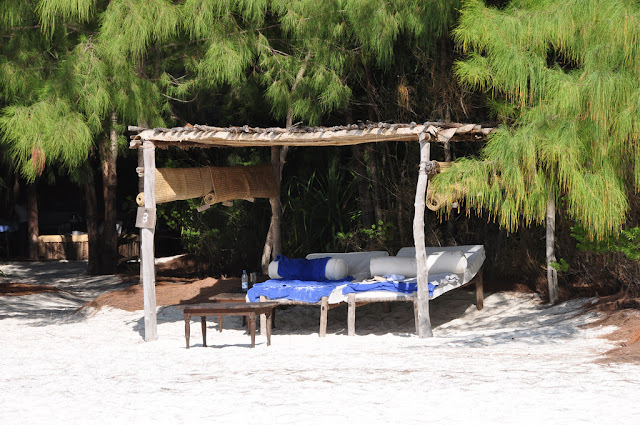 Excellent bird watching, beautiful walks around the island or simply sun tanning on the pristine beach may also be enjoyed. Optional extras include diving courses, deep-sea fishing, a tour Zanzibar, and a range of relaxing massages and therapeutic treatments. Note: Mnemba Island Lodge is a beach dreamer's ultimate paradise experience. Romantic views, exclusivity and rustic luxury are reason enough to enjoy the unparalleled beauty of this barefoot island paradise.